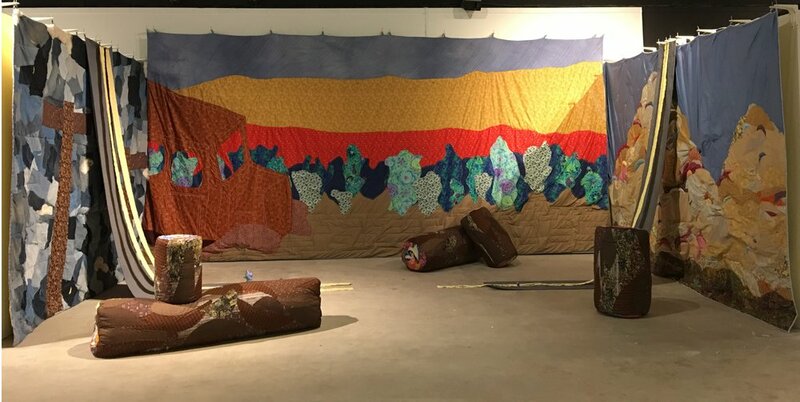 Using Berkeley Ergonomics remnants of wool, latex and coils Madeline created her artistic quilted landscape of the petrified Forest and Painted Desert as old Route 66 cuts through the scenery. "The myth of the Mother Road comes to life through the vibrant colors and patterns" The theme at the fair, Alt 66, explores history that is important to understanding the experiences of all travelers at the peak of Route 66's popularity. 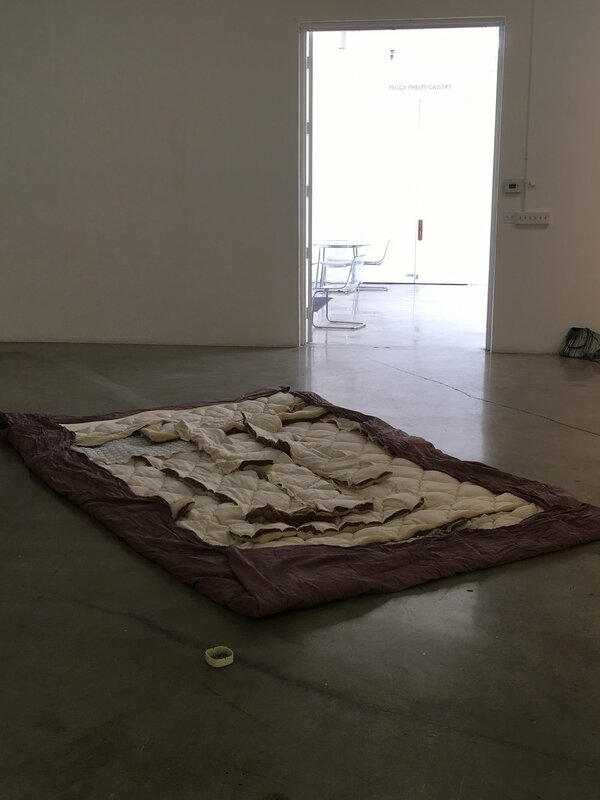 Alt 66 leads visitors to experience critical perspective os the iconic "Mother Road" addressing issues such as segregation, migration, American Leisure and economic development during the 20th century. This exhibition provokes ideas about Route 66 that are seldom or not yet explored through 14 istallations and is the next interpretation of the search for our country's compelling stories of cultural fusion from Chicago to Santa Monica and the 2,448 miles in between and beyond.